Moto2 riders have ridden to the moon and back almost three times since the creation of the Honda-powered intermediate World Championship in 2010. The company behind this incredible figure is ExternPro, based at Motorland Aragon in Spain. 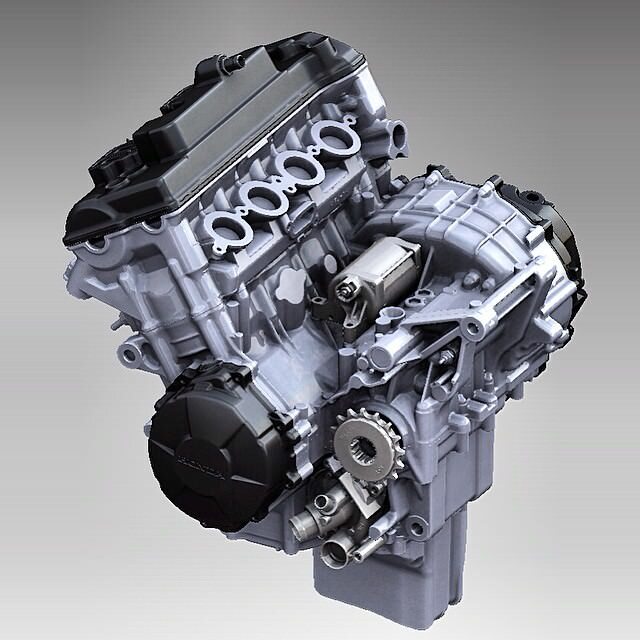 ExternPro took over Moto2 engine preparation from Geo Technology at the end of the 2012 season and is responsible for more than half the total distance travelled by Moto2 riders in the championship’s five and a half seasons, which stands at around two million kilometres. 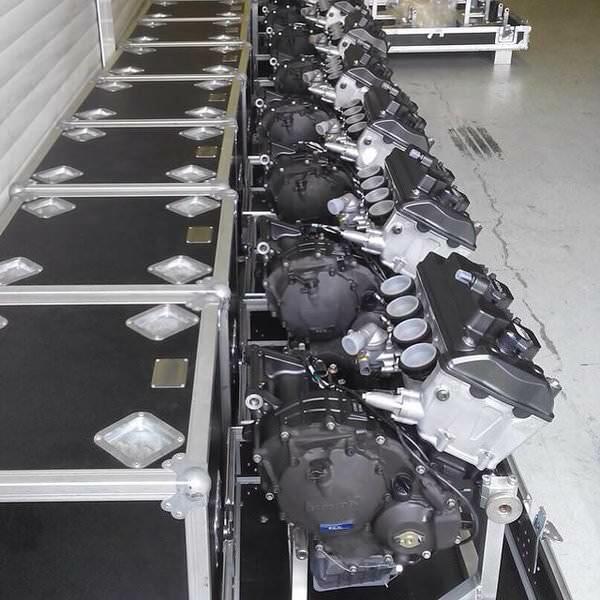 Each Moto2 rider gets a new or reconditioned CBR600RR engine at every third race throughout the 18-race series, the engines allocated via a lottery system. Seven staff work full-time at ExternPro to ensure that all riders receive engines that offer reliable and equivalent performance. 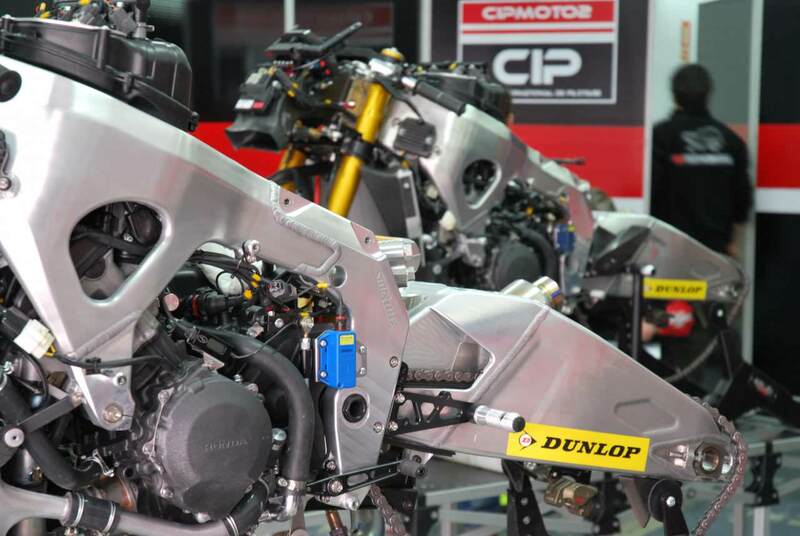 They have about 200 CBR engines, which are in constant circulation between the riders, the rebuild bay and the dyno. 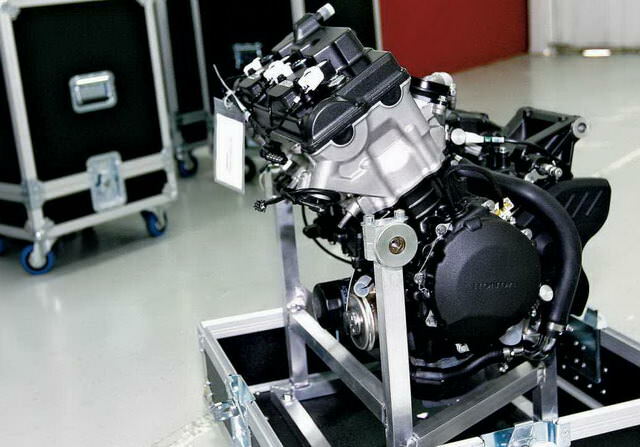 Moto2 engines are lightly tuned versions of Honda’s standard CBR600RR streetbike engine, using HRC race kit parts that include a ported cylinder head, camshafts, valve springs, ECU, AC generator and a taller first gear. Pistons, crankshaft, connecting rods, gearbox and so on are standard CBR items. Engines are reconditioned after three Grands Prix with new pistons, crankshaft and rods. 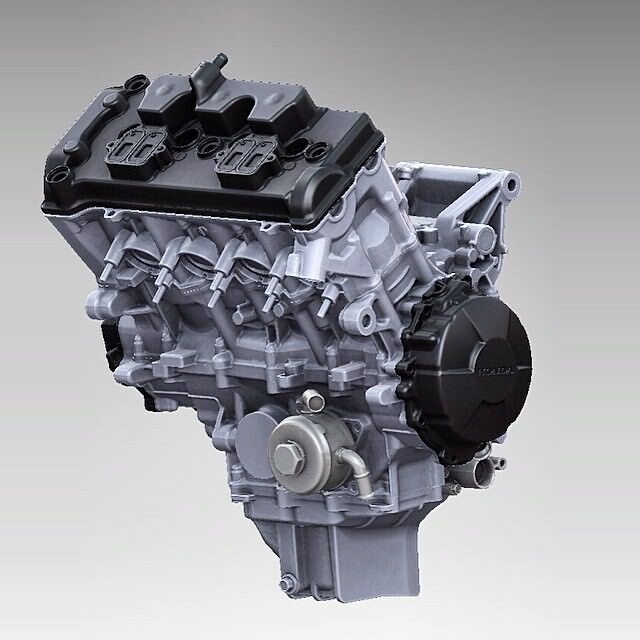 All engines are numbered, with a detailed record available for each, and sealed in four places to ensure that teams cannot make their own internal modifications. 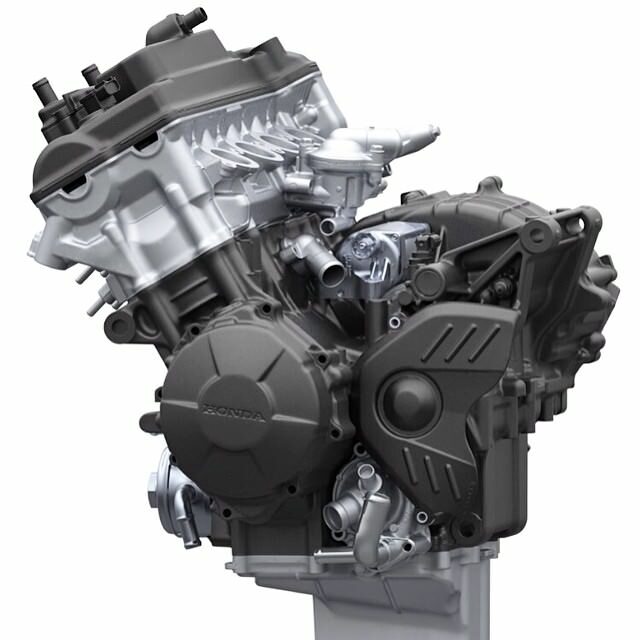 Moto2 engines live an incredibly tough life, with the world’s best up-and-coming riders taking them to the limit and beyond in a quest for success that they hope will take them into the premier MotoGP class. Moto2 riders execute about 90,000 gear shifts per Grand Prix weekend, which adds up to 1.6 million for the season! The ECU has a rev limiter set at 15,900rpm but some riders regularly exceed this limit on downshifts. 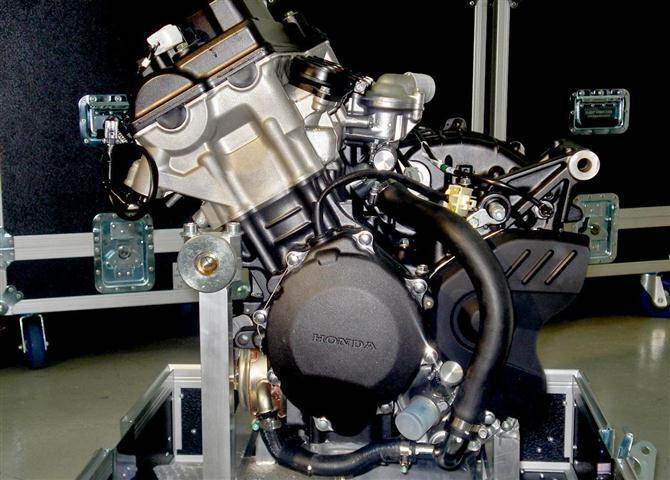 ExternPro’s contract with MotoGP rights-holders Dorna allows a three percent variance in peak horsepower – just under 130 horsepower – but the company’s dedication to excellence has helped them to reduce that difference to around one percent. 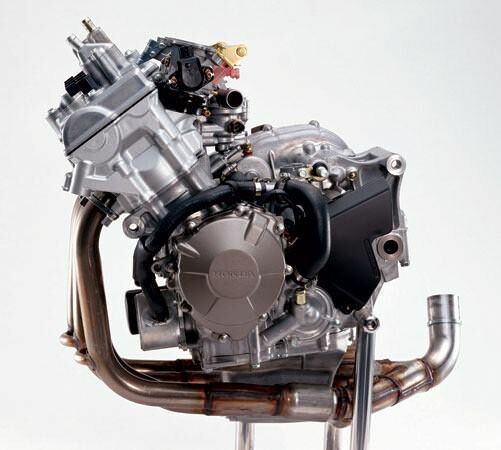 “We’ve just tested a batch of 60 engines and they were all within 1.2 horsepower of each other – that’s down to Honda production quality and the work we do at ExternPro,” says Morris, who has worked on all kinds of Honda race bikes over the years from the NSR500 two-stroke to the RC211V MotoGP bike. 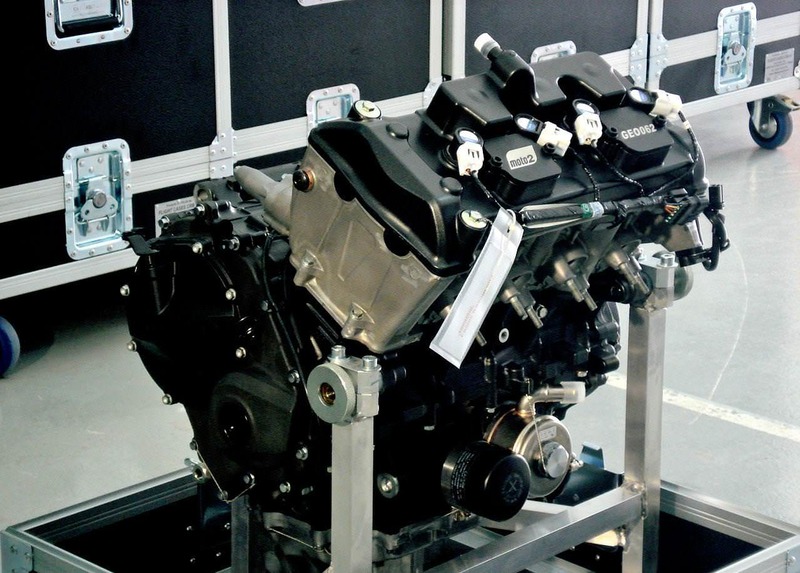 After the rebuild process all engines – which run on Elf fuel and Liqui Moly lubricants – are run in and tested on ExternPro’s in-house dynamometer. The power made by each engine is transferred to the electricity grid. The concept of the Moto2 series is low cost and equality of technology, which helps riders shine through with their talent. The philosophy of Moto2 is to focus on the riders, who can concentrate on honing their skills because they don’t need to spend so much time in the pits setting up their engines. Moto2 riders are now spending more and more time on track, with 2014 champion Tito Rabat starting the trend of leaving the pits at the start of each session and returning at the end, rather than making several visits to his crew for minor adjustments. This allows riders to perfect their skills for each track; it also means that many riders now exceed the 500 kilometers allowed per weekend, but without any negative effect on the engines. ExternPro have had just five engine failures in a million kilometers. Three of those were due to broken cranks bolts, a problem that was traced to running the engines without the standard starter motor, a modification that altered the engine’s harmonics. This issue was solved by redesigning the crank bolt and thrust washer. “Having worked in motor sport for a long time I know that many engine failures are due to human error, so I really push the guys to understand that every little thing they do to the engines really does count,” Morris adds. Alejandro Soriano and parts man/coordinator Asier Maldanado. Engines are transported in flight-cases, via the ExternPro truck in Europe and via Dorna’s chartered planes for flyaway races. The current Honda and ExternPro Moto2 contract continues to the end of the 2018 World Championship season. What type of rules and regulations are there for the Moto2 Race Series? 1. 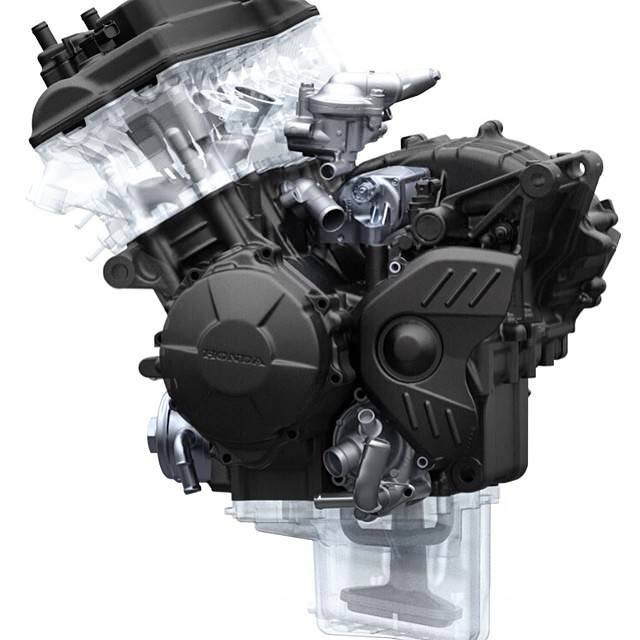 Fuel tank size and shape is free – there are no fuel consumption limits for the stock engines. As with MotoGP, fuel is carried as low and as centrally as possible. Eni is the series sole supplier. 2. 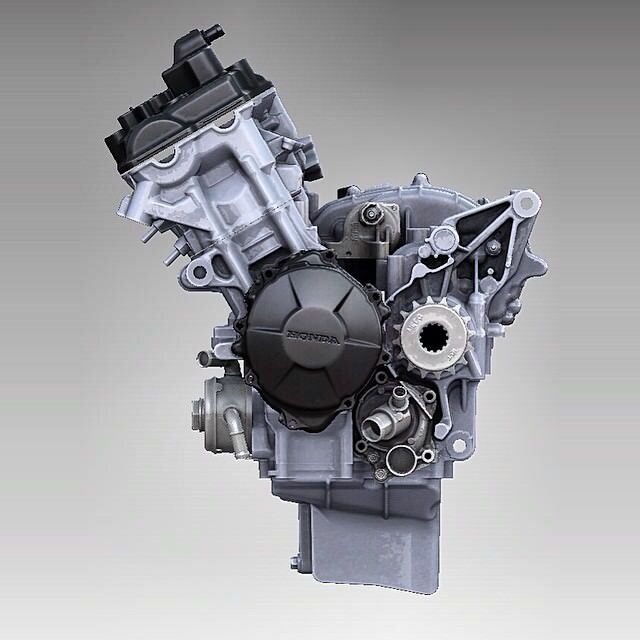 The engine management ECU is supplied, and software modiﬁcations are banned. Teams have a limited range of settings, while organisers have the right to swap ECUs at any point. 3. 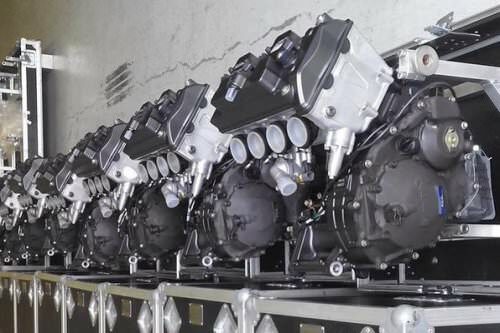 Four-cylinder 600cc engines are identical sealed units, supplied and maintained by ExternPro (formerly Geo Technology), on behalf of the organisers. 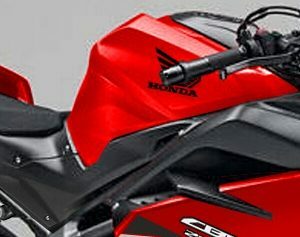 Based on the Honda CBR600 engine, they produce about 140 bhp. 4. Air intake design is free, but must feed a standard airbox, as supplied to the teams. 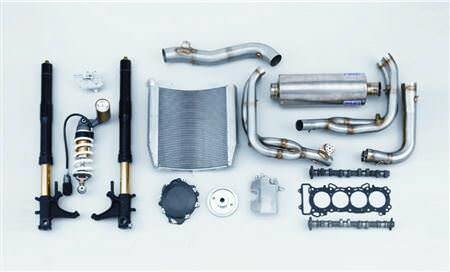 Throttle bodies and injectors are also supplied, along with fuel lines. 5. Two different Dunlop tire speciﬁcations of front and rear tyres give riders a limited choice. Each gets seven front and nine rear slick tires for the race weekend, plus three sets of wet-weather tires. 6. The chassis “must be a prototype”, with no production parts. Designers are free to explore chassis possibilities, within existing racing rules. As in all classes, full streamlining is banned. 7. Choice of front and rear suspension is free, but electronic suspension controls are banned, along with high-pressure hydraulic systems. 8. Wheel dimensions are ﬁxed, 3.75” x 17” front and 6.00” x 17” rear. Composite construction wheels (eg carbon ﬁber reinforced) and carbon brakes are banned. Both rules help control costs. Moto2 was created to replace the 250 class. The aim was for a competitive World Championship that would offer exciting racing for the fans and a valid stepping stone to MotoGP for the riders. 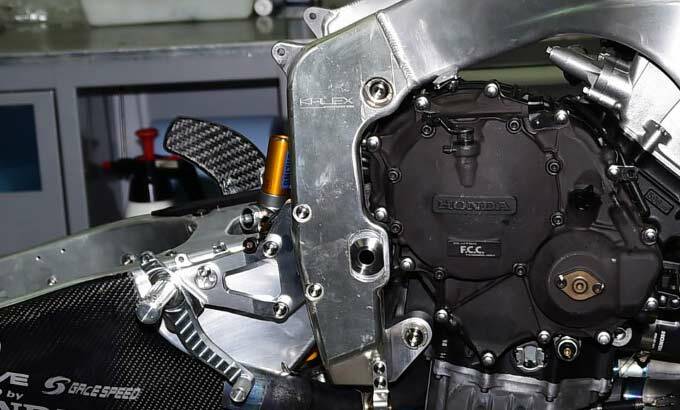 Control engines – Each rider is allocated an engine (sealed) from a pool of identical Honda units that we discussed above. Only the fuel and oil provided by the official fuel supplier can be used. Control tires – Each rider will have exactly the same choice from a total of 16 slick tires per race weekend. Dunlop was awarded the supply contract in 2010. 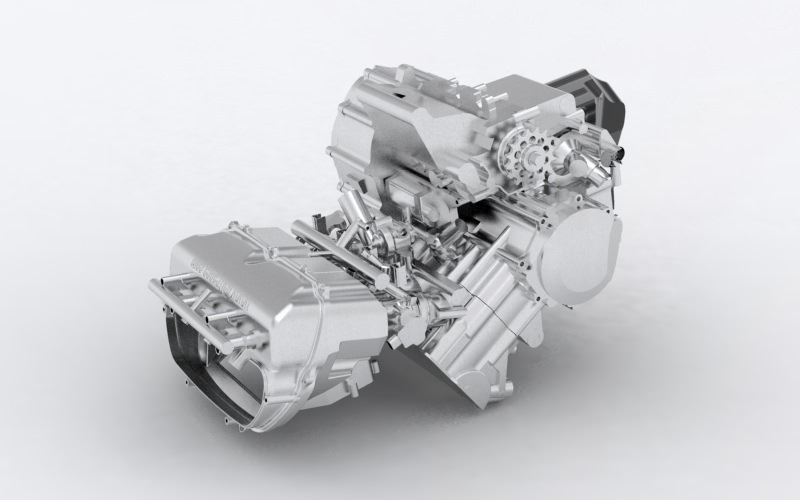 The rules ensure equality in these fundamental areas, while allowing chassis designers freedom to explore different solutions in full prototype motorcycles. The engines, based on Honda CBR600 street units, and delivering up to 140 horsepower are race-prepared and subsequently maintained by the appointed supplier. A racing slipper clutch and a six-speed fixed-ratio gearbox are included. The fuel, and lubrication systems are also part of the standard package. 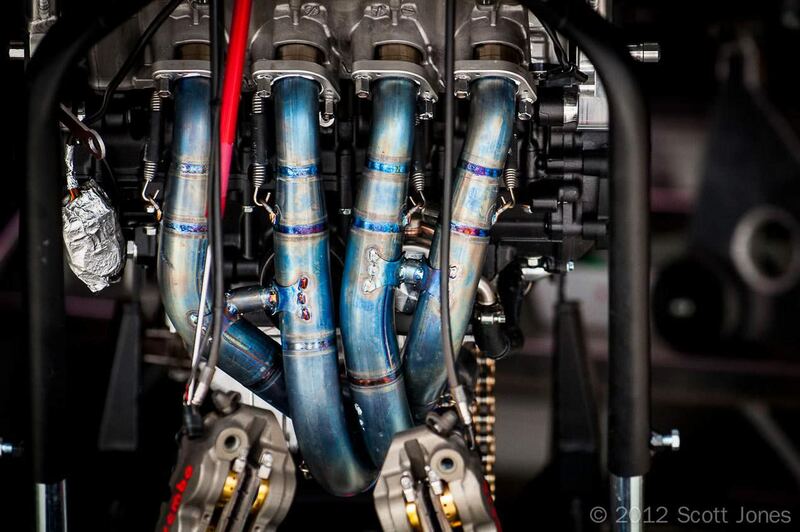 Engines are allotted to teams by the race organization’s Technical Director, on a random basis. They must be returned to the official engine supplier for rebuilding at regular intervals 932 miles (1500km). 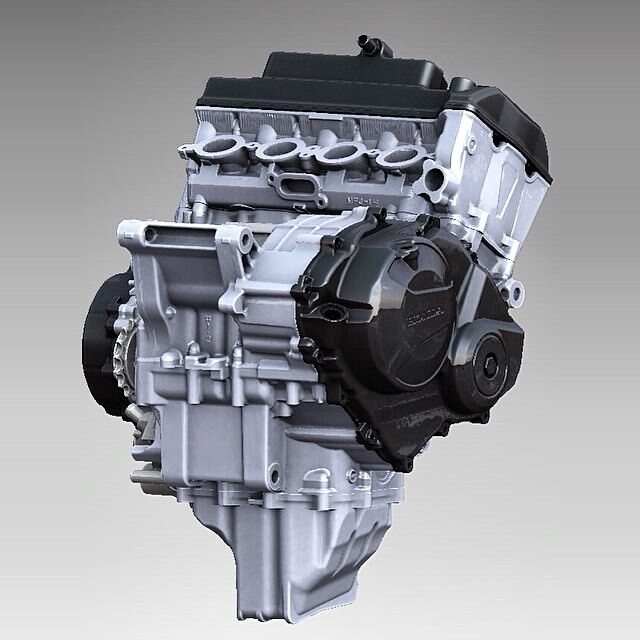 Crucially, organizers will also supply the engine management system, with a same-for-all standard ECU. Certain basic tweaks will be permitted using a standard software setting tool, which comes as part of the Moto2 kit. Other software modifications are banned, and the Technical Director has the power to swap ECUs, as well as to check their recorded data. A standard datalogger system is also supplied. Exhaust is free, but maximum noise level is set at 115dB/A. All maintenance will be performed centrally. Teams may not touch the engines, beyond basic set-up and running maintenance, such as oil changes, or replacing plates in the standard slipper clutches. Radiators are free, but use of the standard oil cooler is compulsory. Chassis design “must be a prototype”, the rules state, with no production parts used. At the same time, exotic metals and electronic suspension are banned, and brakes will be steel rather than the costly carbon used by MotoGP. Composite wheels are also not permitted. Minimum weight of the complete motorcycle is 135 kg / 297 lbs. Equality in tires is also the goal. Dunlop developed five front tire compounds of which a choice of two were brought to each round. As the season progressed it was clear that two of these compounds (a medium and hard compound) were favoured by all riders. For rear tires there is a wider choice of seven compounds, for which two are chosen for each race. This year the softest compound, 6712, has been dropped and improvements made to another three. Feedback and lap times from the pre-season testing was good. A maximum of 16 slick tires may be used per race weekend. All tyres are barcoded and allocated on the day before practice starts to each rider by the Technical Director. Some circuits will require ‘dual’ tires, with different compounds on the left and right shoulders and, in some special cases (like Australia’s Phillip Island) also possibly asymmetric construction. Three sets of wet tires in one specification will be allocated: if every practice and the race are declared wet by Race Direction a further set of wet tyres will be authorized. As in MotoGP, no “intermediate” tires will be supplied.